Assalamualaikum & Happy Day all! It's been a long time since my last BOTD post. It has always been about my little one nowadays. Just because i also rarely buys makeup stuffs now and rarely joins any event. But now i hope that i can be on track again in blogging and attending events so that my blog won't be left out alone. I was being introduced to this palette by a friend of mine at the office. 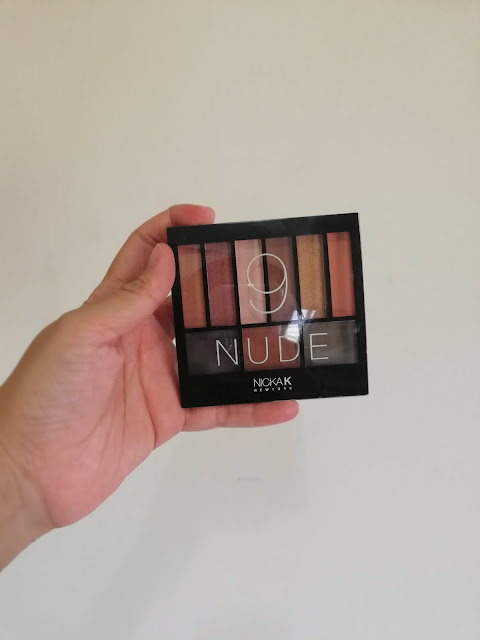 She said that the palette is super affordable and quite pigmented at the same time. Since i am super lazy to do my makeup before this, purchasing this palette before i gave birth to my daughter is my last makeup purchase i guess. Haha. See how long i did not buy any makeup, be it cheap or expensive. Haha. While it is cheap, some may think that the shadows are just crap. Believe me, this one can be considered as a-okay to me! With the price tag less than RM20 and has 9 eye shadow in a plastic cheap palette, i love it! 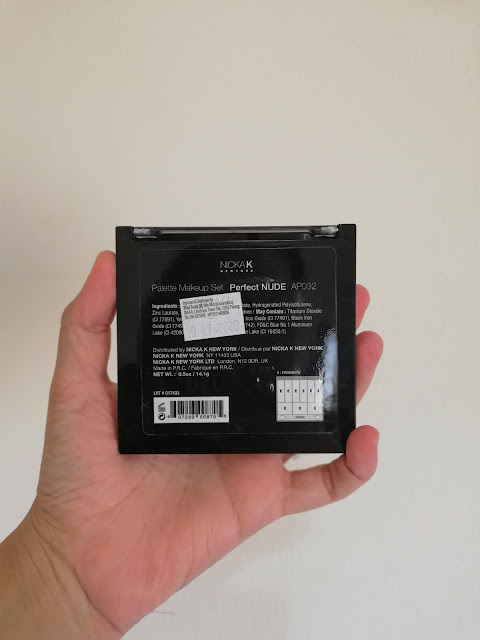 Just like other cheap eye shadow palette, this one includes one dual ended applicator which i think most of us do not use it unless it is an emergency. 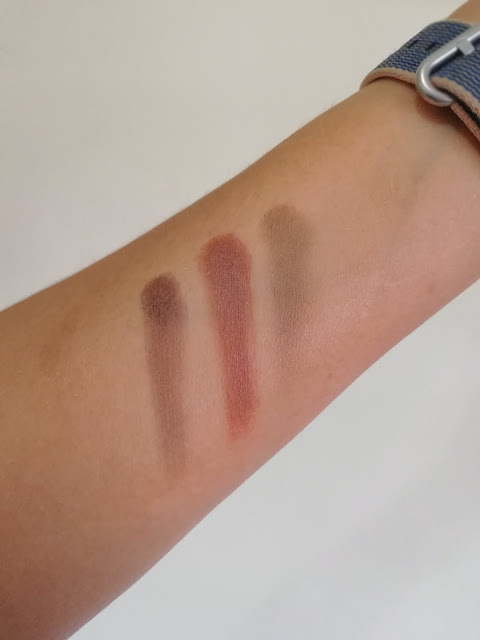 The palette has 6 matte shadows and 3 satin like shadows. The matte ones are quite powdery but pigmented. 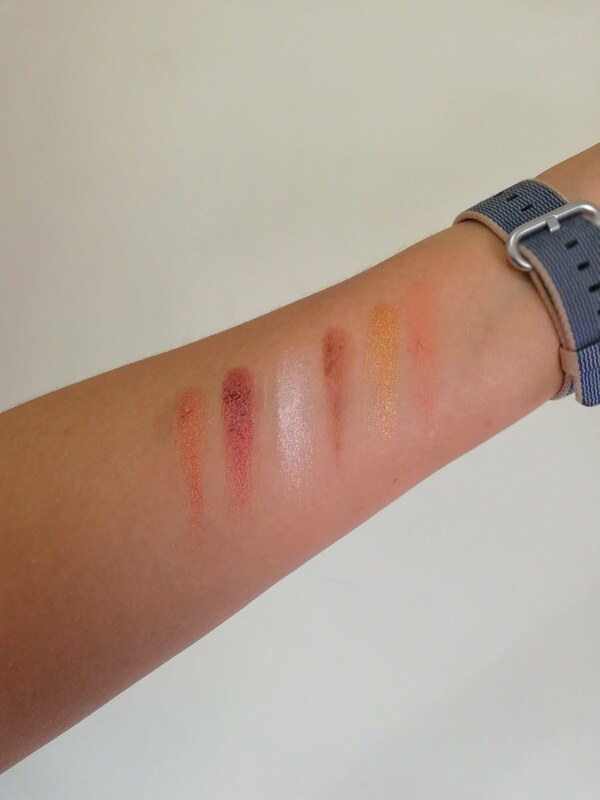 I am really amazed by the pigmentation of the 3 matte shadows at bottom row. Smooth and pigmented. :) The satin colors are oh so gorgeous! I am now wearing this palette every day. Some of the shadows can be applied at the eye brow as well. So, 1 palette has it all! I might be just bringing this one palette anywhere cause it has every colors that i wear. If you are quite skeptical on the pigmentation, this one for me is okay for the price. Do not expect it to be SUPER pigmented like Urban Decay shadows wihch costs more than RM50 lah yer. Hehe. So get yours today at Watsons!